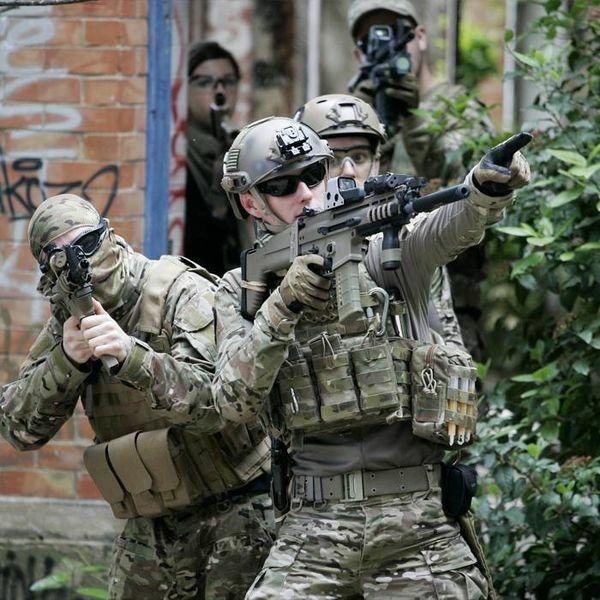 FMA founded in 2009, we are the first, largest and most reliable retailer and wholesaler specializing in airsoft and wargame equipment in GuangDong province of China. We also carry the most diverse product line (with over 950 individual products) with virtually every quality airsoft product available on the market today. Our major products are such as S&S Accessory; Helmet; Helmet Accessories; C&C NCV; Mask; Battery Box & Flash Lights; Goggles; Pouch; Survival lamp; Slings; Silencer. All our products are tested before being shipped, ensuring that our customers receive only the best products. They all are popular for EUROPE, Poland, Spain, USA, Italy, etc. Our team of expert tuners and technicians also provide a full range of upgrade and customization options for every need. FMA airsoft is poised to grow even more in the future, and we are excited to continue to innovate and grow with our customer base.